K 4 Compact 16373110 https://www.kaercher.com/ae/home-garden/pressure-washers/k-4-compact-16373110.html Easy to transport and store: the "K4 Compact" with water-cooled motor is the ideal high-pressure cleaner for moderate dirt, e.g. on garden fences, vehicles, bicycles, etc. Easy to transport and store: the "K4 Compact" with water-cooled motor is the ideal high-pressure cleaner for moderate dirt, e.g. on garden fences, vehicles, bicycles, etc. The "K4 Compact" with water-cooled motor is ideal for occasional removal of moderate dirt. This high-pressure cleaner is ideal for garden fences, bicycles and small vehicles. This machine is compact and powerful. Two handles and a practical telescopic handle make the machine easy to transport. It is also easy to store. 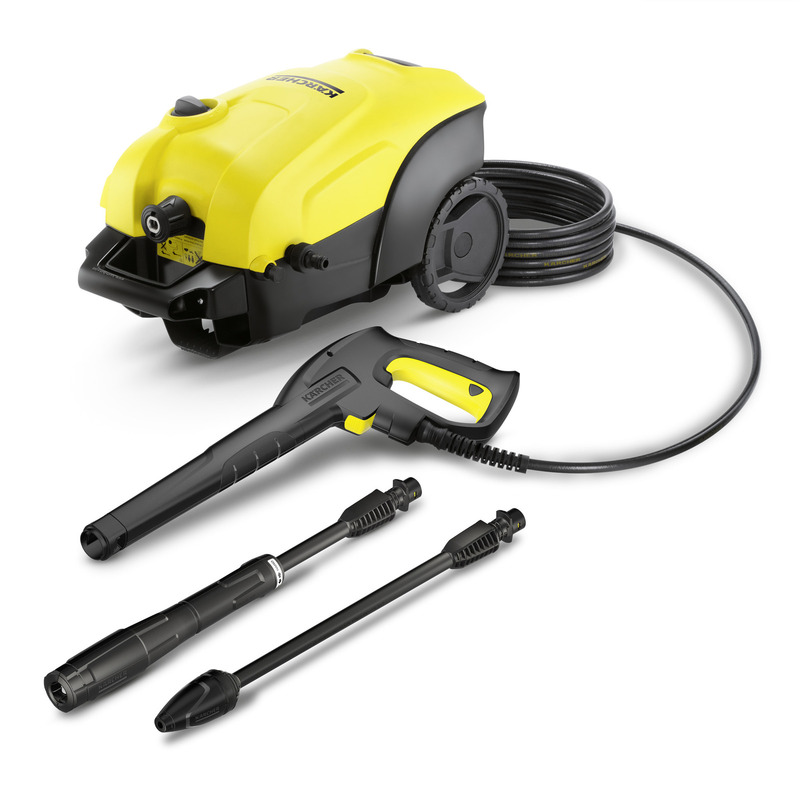 Further impressive features include: Quick Connect gun, 6 m high-pressure hose, Vario Power spray lance (VPS) with practical twist action pressure regulation, dirt blaster with rotating pencil jet for removing stubborn dirt and reliable water filter for pump protection.